Are you looking for an editor for your products before you publish them? I can help! 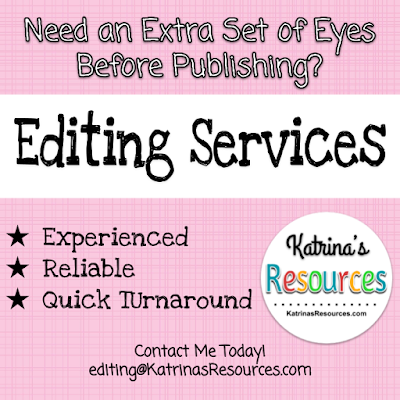 Contact me today by emailing editing@KatrinasResources.com or clicking on the image below. P.S. I can also design a logo, product cover, custom pins, and posts for your social media accounts. 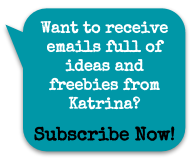 If you wish to contact me, feel free to do so through a comment or at info@KatrinasResources.com.